If service is the beating heart of Rotary, then the Rotary Foundation is its very lifeblood. It is in and through the Foundation that we are able to support projects locally and throughout the world. 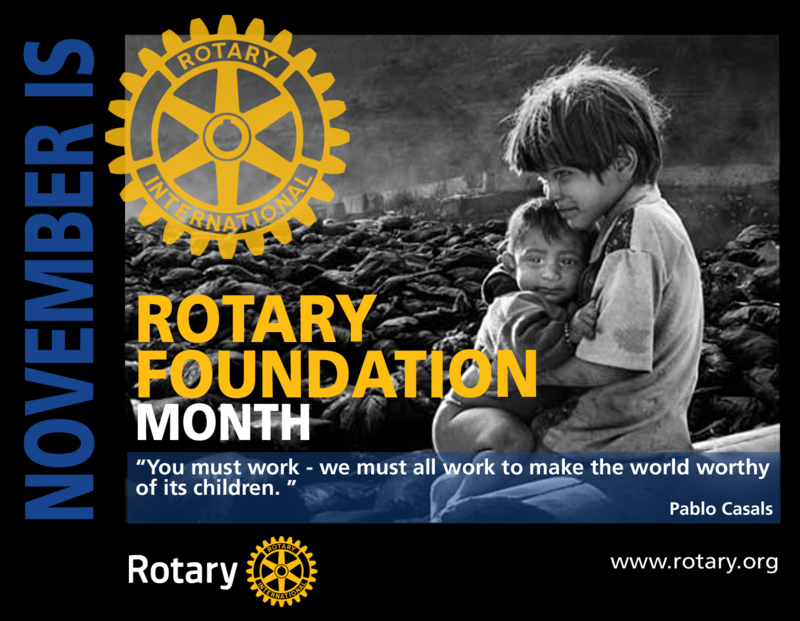 It is through the Foundation that Rotary is made real in the lives of millions: working for peace, supporting clean water and sanitation projects, providing for maternal and child health programs. This is all a result of Rotarians throughout the world generously sharing their resources. Join us Thursday, November 8, 2018 at the Country Club of York (1400 Country Club Road, York, PA 17403) as we celebrate our Rotary Foundation and our achievements during the past year. Cocktail hour from 6:00 to 7:00 p.m. Dinner and speaker from 7:00 to 9:00 p.m. Cost is $50 per person. Registration deadline is November 1, 2018. You don’t want to miss our speaker Dr. Anne Mathews! She is a member of the Rotary Club of Columbia East in South Carolina and has served as Vice President of Rotary, a Trustee of the Rotary Foundation, trainer for District Governor elects, chair of the elections committee for the Rotary International President and many other positions. Her own service work includes projects in Kenya, South Africa, India and Ghana. She is by profession an educator, having taught at all levels from High School to University and has spoken in all 50 states and 35 different countries about the Rotary Foundation. Dr. Anne L. Matthews is an educator by profession, a published author, an education accreditation commissioner, and public speaker. She served in several management roles with the SC State Department of Education and taught business subjects at the high school, technical college, and university levels. She has spoken in all 50 states and 35 foreign countries on educational issues and/or the Rotary Foundation. 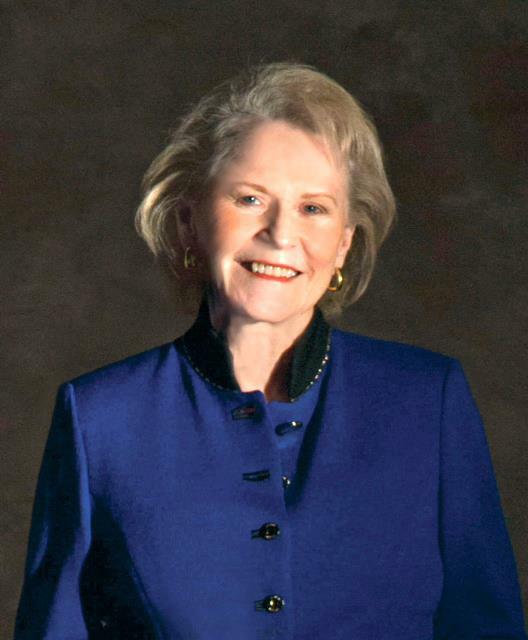 A member of the Rotary Club of Columbia East, she served as Governor of D7770 in 1999-2000. Anne has served in numerous capacities in Rotary. To list a few: RI Vice President (’13-’14); RI Director; TRF Trustee; member of Future Vision Committee; Zone 33 RRFC; DRFC; National Adviser to Permanent Fund; IA Trainer two years in Anaheim, CA; IA Lead Trainer for two years in San Diego; Facilitator and Speaker at Rotary International Conventions; RI President’s Representative; Zones 33/34 Institute Chair; RI Convention Pre-Institute Chair, New Orleans; COL Representative; Vice Chair of the Polio Eradication Advocacy Task Force for the US; Chair of the Rotary Peace Centers Committee; member of the RI Finance Committee; member of the RI Investment Committee, and several other RI Board or Trustee Committees or liaison to committees. In 2017-18, Anne chairs TRF’s Basic Education and Literacy Major Gifts Initiative and chairs the Polio Eradication Advocacy Task Force for the United States. Anne has participated in Polio National Immunization Days in India, and participated in humanitarian work in Kenya, South Africa, Ghana, and the Amazon Jungle, to mention only a few. In August 2017, she chaired the Nominations Committee for the RI President for the years of 2018-19 and 2019-20. Anne serves on the international Board of Directors of Rise Against Hunger, Rotarians for Family Health, and Harvest Hope Food Bank. Anne’s passions are education and literacy, feeding the hungry and providing clean water and sanitation systems. Anne is a major donor, Paul Harris Society member, Paul Harris Fellow, a charter member of TRF’s Bequest Society, and the founder of District 7770’s Paul Harris Society. In addition, she has supported the renovation of the Paul Harris home in Evanston. Anne received several honors from Rotary International. These include the Citation for Meritorious Service Award, the Service Above Self Award and the Distinguished Service Award. She has been honored as Rotarian of the Year in D7770. Anne was also honored with the Betsy Demaray Award by the Rotary Global History Fellowship. In June 1917 at the Rotary International Convention in Atlanta, Anne received the International Service Award for a Polio-Free World from the Rotary Foundation.